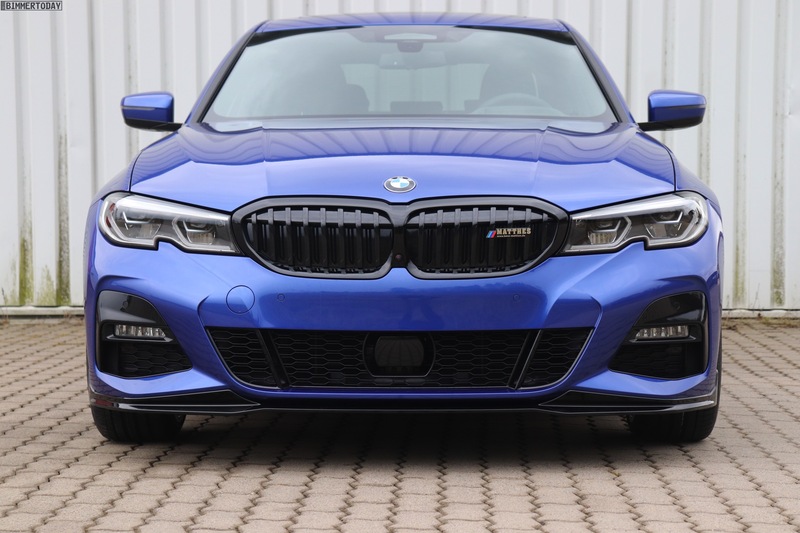 Even before the official market launch of the new BMW G20 3 Series, the M Performance Parts division is celebrating its second major appearance. 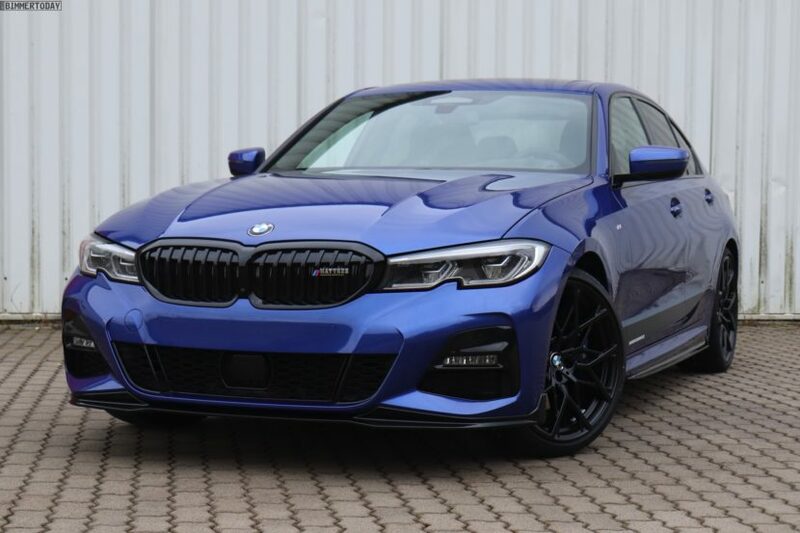 After we were able to photograph an Alpine White G20 320i M Performance in Portugal, now it’s time to see what the aftermarket parts would look like on a 330i in Portimao Blue. The BMW 3 Series G20 displayed here was configured by the Matthes Group car dealership in Germany and shows that the dark accents look very sporty even with a blue paint. 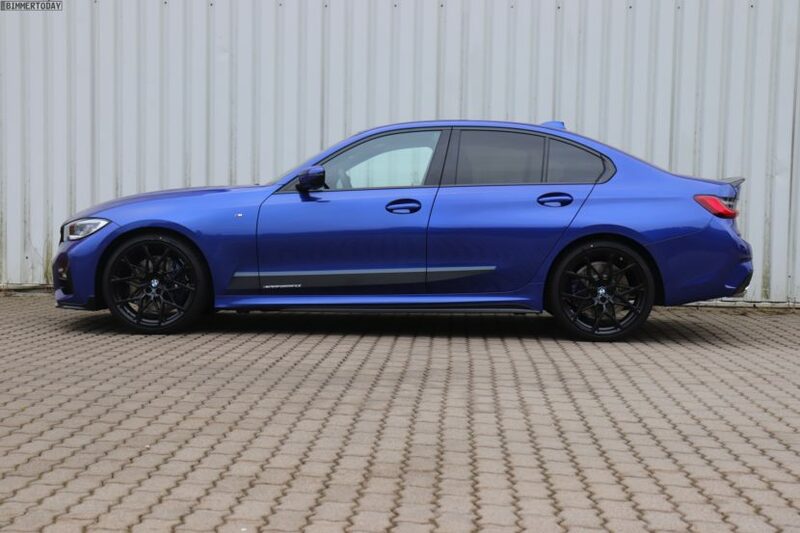 The basis for the tuning appearance is the 330i equipped with the already aggressive M Sport Package and the Extended Shadow Line option which already includes some black accents. A special eye-catcher are the 20-inch M Performance light-alloy Y-spoke wheels 795M in matte black. Other tuning elements in high-gloss black are the front splitter, the rear bumper trim, the rear diffuser and the side skirts. Another dark accent is the rear spoiler lip made of carbon fiber. On the doors, the black M decorative look decor completes the appearance of the modded 3 Series. Most of the elements painted here in high-gloss black are also available in carbon, which makes the M Performance accessories even sportier. As customers and tuning shops are getting their first 3 Series units, we expect to see an impressive number of unique builds.